I'm forever amused by American Victorian-era humor. The point of the historic newspaper article I'll share seems to be reached extra-well because of the dollop of humor. Ultimately, the purpose is evident. 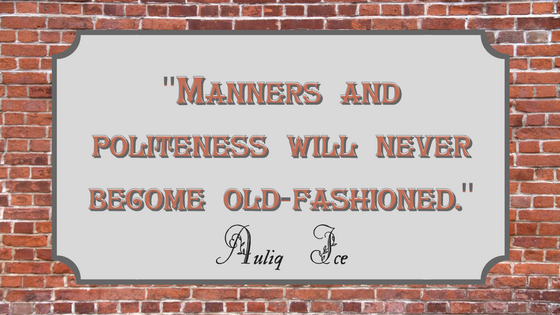 Good manners are always in style. 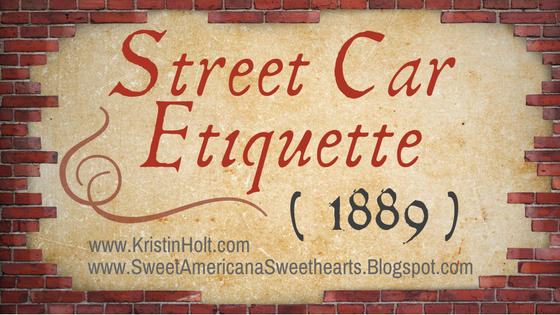 The following article, titled Street Car Etiquette appeared in the Fort Worth Daily Gazette of Fort Worth, Texas, on February 24, 1889, apparently having first run in the New York Sun. 1908 Postcard featuring the 1887 horse car on display in Manchester, New Hampshire. The FIRST horse car in the city. Labeled "Rapid Transit". Image: Public Domain, found on Wikipedia. 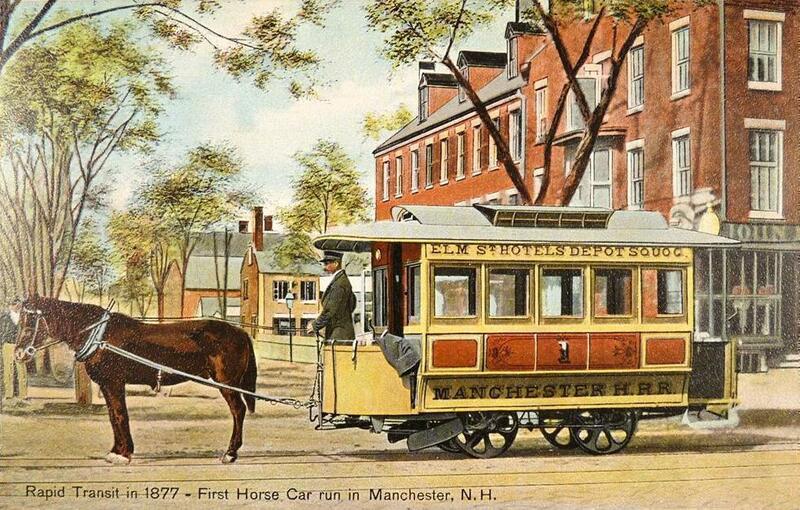 Horse-drawn cars such as the one on this Manchester postcard had been invented much earlier... Manchester was simply blessed with their first (apparently) in 1887. The following original patent drawing and details explain the unique (thus patented) and new arrangement of doors on the horse-drawn railway cars with the patent granted on September 4, 1860. While not a laughing matter, the patent solves a similar problem--"the usual annoyances now occasioned by passengers standing outside, and blocking the passageway". 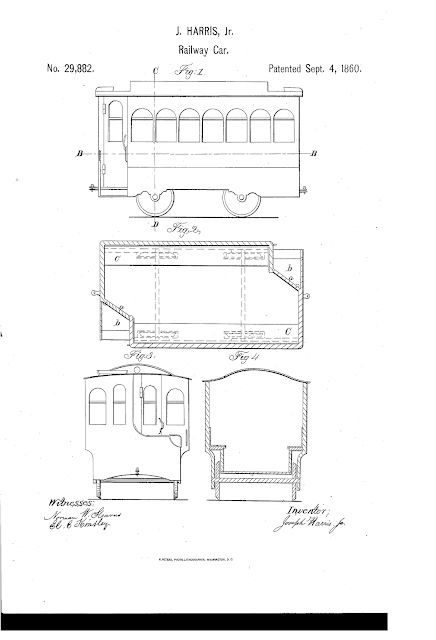 A little more--including parting with the need for a conductor (reference etiquette in the newspaper article)--is included below the patent image. Patent No. 29,882 issued to J. Harris, Jr. on September 4, 1860. Source: Google. Taken from the detail contained within the patent (application and final document), also courtesy of Google. "The doors a, a, [see fig 2] when closed, are at an obtuse angle with a plane parallel to the end of the car, or at any angle which increases the facilities of passengers on their entrance and exit, and the usual annoyances now occasioned by passengers standing outside, and blocking the passageway, is obviated. By the present mode of constructing platforms, they extend from side to side entirely across the car, and the doors slide open at right angles to the sides. I construct my car in any of the known forms, except the platforms, doors and doorways. The ends of my car are constructed viz., the greater portion of the platforms are inclosed [sic], thus making the interior more spacious, and economizing seat room for additional passengers, as represented by the letters c, c, on Fig. 2. I have two entrances and two doorways, or platforms, one at each end of the car, their relative position being diagonal. Consequently, no accident can occur to passengers, from cars coming in an opposite direction, as the peculiar construction of the doors and platforms oblige the passengers to enter and leave, on the outside or right hand of either rail track. The doors are controlled by the driver by means of foot straps extending from the door, through the ear and under his foot. This arrangement is not adopted in cars at present, where the horses are made to change from end to end, in reversing the draft of the car. Apparently human nature hadn't changed much (nor the aggravations caused by public transportation) from 1860 to 1889... and I'd wager a guess that commuters on today's trains and light rail would say nothing's much different in 2016. Except for a few more riders on a few more vehicles of public transportation on a few more rails and a few more roads. 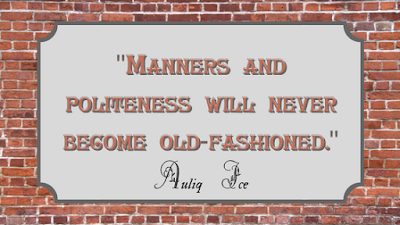 Ultimately, polished manners and politeness are as essential--if not more so--today than they were 127 years ago. Perhaps humor is the best way to respond to such aggravations and breaches of etiquette, then or now. May I share a bit more Victorian-era humor with you? 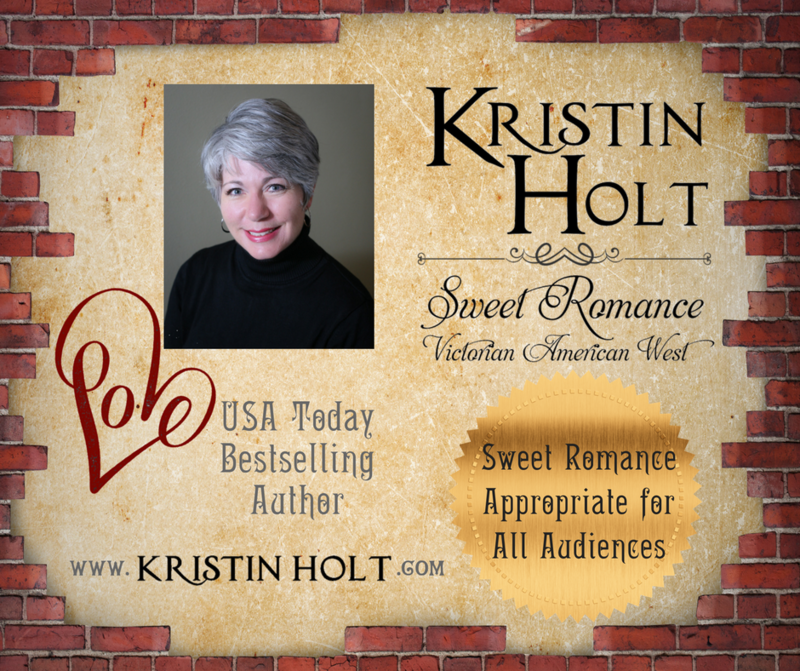 Mail-Order Bride Farces... for Entertainment? This had me chuckling--again! Your posts with Victorian humor always amuse me. Loved the "rapid transit" picture! My thanks, Kathryn. I find Victorian humor to be relatable. =) Thanks for stopping by, reading, and contributing to the conversation. When Nature Called...Have You Ever Wondered? Women and Jurys and Jim Crow laws, Oh My!